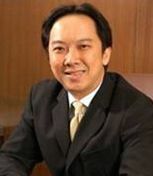 Sim Mong Teck and Partners was established in 1994 by Mr. Sim Mong Teck. It is essentially a young, aggressive and dynamic boutique size commercial practice with six lawyers. The firm's core philosophy is to provide practical and cost effective legal advice. With Singapore being the gateway and communications hub to the entire South-East Asia region, the firm is strategically positioned to undertake regional work in conjunction with its counterparts throughout South East Asia. Sim Mong Teck & Partners' clients representation include prominent members of Singapore 500 companies, as well as private clients from the region.